hope you enjoy this little INTERMEZZO TURCO while we wait for the story to continue next week. As for the cover, this Intermezzo teases a bit about things to come in the next episodes. 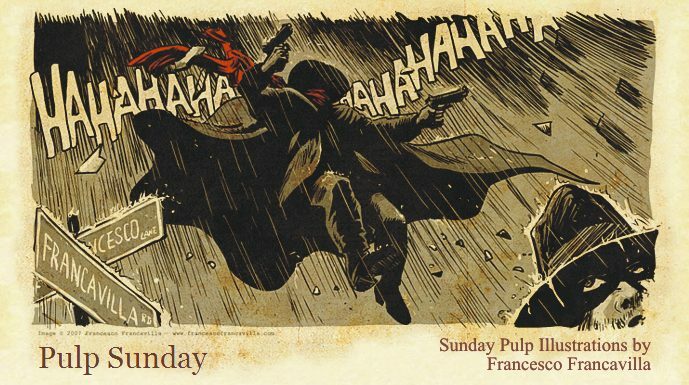 Have a wonderful Pulp Sunday everyone! Francesco, you're gonna have to save some commission space for me at this summers Heroes Convention. The Black Beetle is beginning to grow on me! Hey Chuck, I will definitely make room for a convention commission (usually 9x12) for you if you are planning to come at HEROES. If you are interested to a full commission (the 11x17" one) then it would be better if you email me before the show so I can work on it and deliver it at Heroes. If possible, visit the Catacombs, click on my profile and then email me the pricing on those sizes, so that I can flip a quarter.